It was this photograph, my mother’s casual questions, and my inquisitive nature which initiated the most fascinating of my family history research goals thus far. 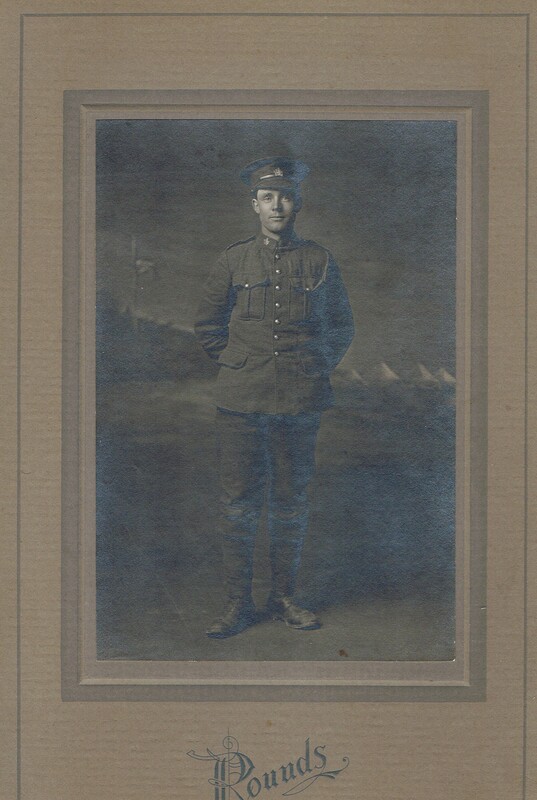 This is a beautiful original photo of my great-grandfather (my mother’s paternal grandfather), Thomas Carter, looking dashing in his WWI Canadian Expeditionary Force Uniform. I recall admiring a framed copy of this photo in our home and was surprised as an adult that I had no knowledge of the life story of this man. It wasn’t until I initially joined Ancestry.ca and began to enter known family names and dates into my family tree that I discovered my mother knew very little about her paternal grandfather. She explained that he had died prior to her birth and her father, my grandfather, was a quiet spoken man who said little or nothing about his father. She asked me if I might be able to discover more about Thomas Carter online. and the National Library and Archives of Canada is currently working to digitize WWI service files in their entirety. I located Thomas Carter`s attestation which gave me just the information I needed to continue my search: A birth place: Watchfield, Berkshire, England, and a birth date: 24 May 1887 It was a definite match, there in scrolling black ink was my great-grandmother, Margaret Isabel, listed as his wife and next of kin, and their address at the time the tiny hamlet of Burgessville, Ontario. I was thrilled! My genealogy senses tingling, I knew I now had a place of origin which excited me but I was still very green, and I struggled with the task of locating the correct Thomas Carter in the England Census records and in Passenger Lists. I turned back to the Canadian records. As any good, experienced genealogist will tell you it is crucial that you exhaust all records in your ancestors most recently known location before pursuing those overseas. I found an Ontario marriage certificate for Thomas and Margaret and it was there that I discovered the names of his parents: John Carter and Mary Ticturn. Try as I might I could not even find such a surname as Ticturn and John Carter was again disconcertingly common. Unfortunately, what I would later discover is that much of the information I was gathering was misinformation and entirely incorrect! Though the month and day of Thomas’ birth was always the same the year varied on every document. Perhaps he had lied for various reasons as people often did on war records, and marriage records or perhaps he truly did not know himself. And though his father`s name was accurate I learned that Mary Ticturn did not exist! I was at a standstill until one of those golden genealogical miracles occurred. A magical leaf hint appeared for Thomas Carter on Ancestry. It was a U.S. and Canada, Passenger and Immigration Lists Index entry. 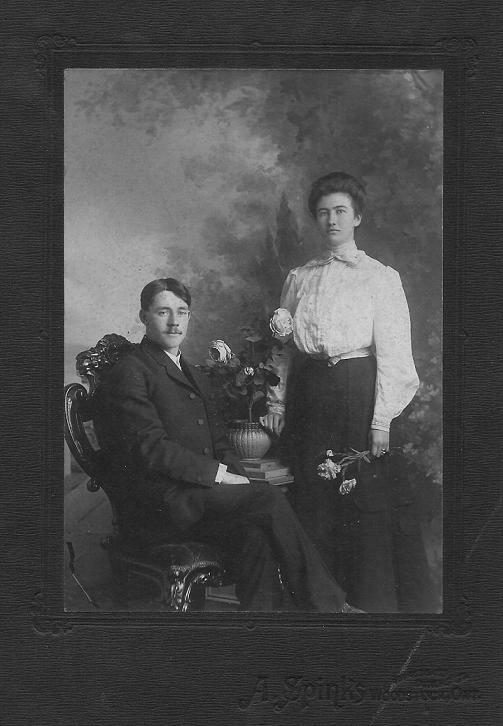 Of course I was a little skeptical but the hint indicated that a Thomas Carter arrived in Canada in 1895 and was among a party of Fegan Home Children. It was this casual Index reference which opened to me a whole new world of historic and family discovery! Again, I was unsure I had found the correct individual and knew I must delve further into the research of Fegan and his organization of which I knew nothing. James William Condell Fegan, a non-conformist and an evangelist, opened a home in 1872 for “founding” boys–orphans or children given up due to their parents’ lack of means. In Victorian times, Britain was experiencing an overburden of impoverished families and specifically impoverished youth. Industrialization had changed the face of British society and marked the death of cottage industries. Parish support and workhouses became a prevalent threat to those who found themselves destitute. 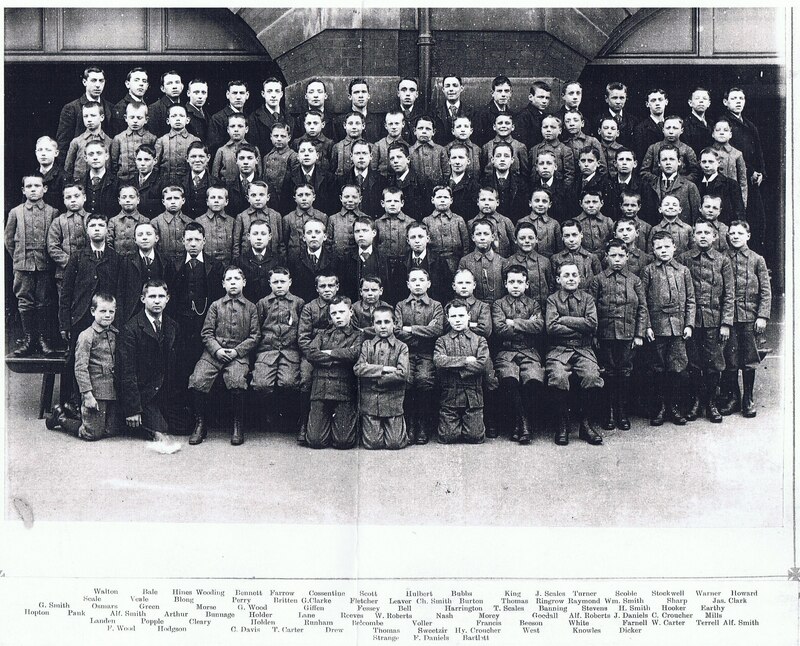 Several organizations like Fegan’s Home for Boys and most notably, Bernardos, rose from this mire of this desperation and eventually it became popular for these soon overcrowded establishments to send children overseas to Canada and Australia. This served two purposes: to both rid themselves of their poor populous and to aid in the labour shortages in these British Commonwealth countries. Children were sent as indentured servants to primarily farmers in these new worlds. Fegan Emigration Party 1895~ My Great Grandfather is the fourth from the left in the first seated row. I posted on message boards and rifled off emails to those who held British Home Child records and my persistence paid dividends. Not only did I decisively determine that the Thomas Carter who arrived in 1895 was in fact my great grandfather but I was able then to find the records of his indentured service, trace his family, and learn the dire circumstances which lead to his fate. Thomas Carter was the biological son of John Carter and Elizabeth Thatcher, but John married twice more, his second wife named Elizabeth Alder and his third Rhoda Titcombe (whom I believe Ticturn referred to on Thomas’ marriage registration). Thomas had several siblings: three older sisters Elizabeth Annie, Clara Ann, and Martha and a slightly younger brother William Henry. William was also among the children who were sent to Canada in the same emigration party. Once I had received the intake forms from Fegans I realized it was Thomas’ married sister Clara who had admitted him and his brother William after they had spent some time in the Farringdon workhouse. Humorously, though the WWI attestation paper was the source of my first clues to the mysteries of Thomas Carter’s past once I ordered his full WWI service file I realized he had not participated in the war. His hard work as a youth had caused Thomas to suffer from such debilitating arthritis that he was discharged after training as he was considered medically unfit. The records kept from the yearly visits Fegans’ organization made to check up on Thomas stated his character as: “A sturdy, useful, affectionate, honest boy.” He was 9 years of age. Heart wrenching as all these new revelations were it was the unearthing of the circumstances which left him parentless that became my most devastating and horrific genealogical breakthrough! Curious? The titillating suspense, and heart jumping revelations created that same sense of suspense in me as I combed through new information to disprove what I thought must be some mistake, some error climbing someone else’s family tree…I was very much mistaken for this was to be definitively my darkest Black Sheep discovery! Read my next installment: Darkest Black Sheep Revealed for the continuation of this story!